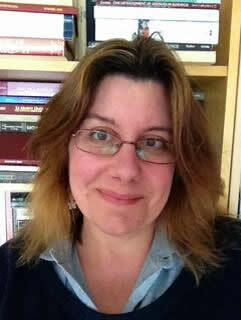 Samantha Rayner is the Director of the Centre for Publishing at University College, London. She teaches and writes on publishing and book related topics, with special interests in publishing archives and publishing paratexts, bibliography, the culture of bookselling, editors and editing, bibliotherapy, and academic publishing. She was the Principal Investigator on the influential AHRC/British Library Academic Book of the Future Project (see http://academicbookfuture.org/ ). She is Deputy Editor for the Journal of the International Arthurian Society, and the General Editor for a new series of publishing mini-monographs with Cambridge University Press. Adam Smyth is Professor of English Literature and the History of the Book at Balliol College, Oxford. He works on the intersection of the literary and the material, the archival and the canonical, particularly (but not exclusively) in the early modern period. His most recent book is Material Texts in Early Modern England (Cambridge University Press, forthcoming, 2018), which explores the inventive materiality of early modern texts, and the remarkable things readers did to books in the name of reading (cutting, pasting, annotating, burning). View 'Tatters and patches in early modern England: finding old texts in new books'.